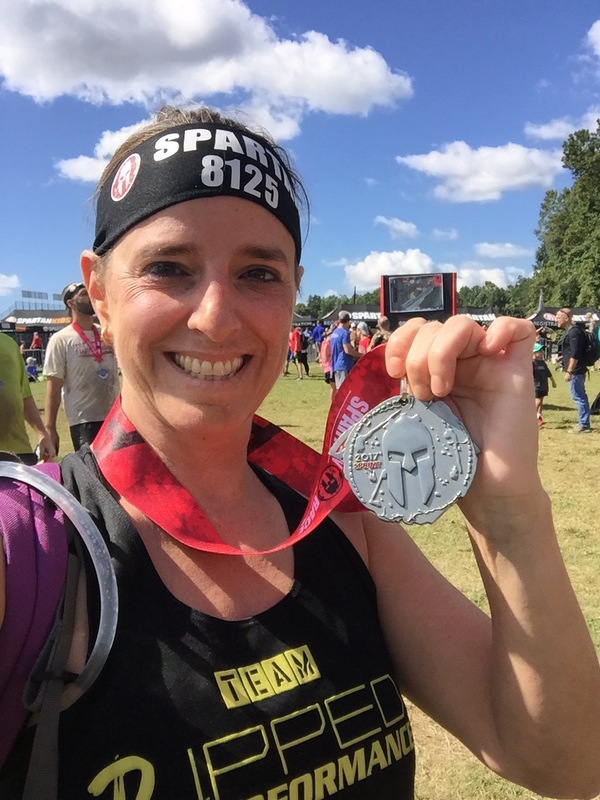 This past Saturday I completed my Spartan Trifecta. 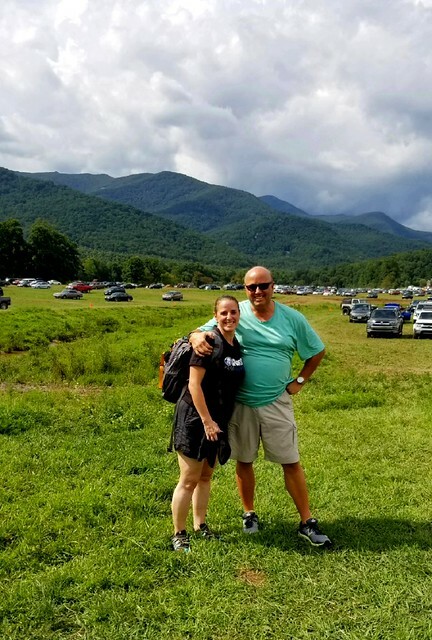 For those who may be new to me or to Spartan Races, let me explain. The Spartan Trifecta is made up of three races: The Sprint (3-5 miles), The Super (8-10 miles) and The Beast (12+ miles). To earn a “Trifecta” you complete all three races in one calendar year. I also did the Washington, D.C. (aka, Maryland) Sprint and the Asheville Super. When I sign up for races I look at dates. Because I have two kids who play sports, my weekends are often taken up with their events. I try to cram my races into the summer and that gives me less options for racing. I also try to pick ones that are closest to me so that I can save money. When I go to Asheville, I stay with my brother. I can drive to and from Maryland. For West Virginia, I stayed at an AirBnB for the first time and it was perfect. After I signed up for West Virginia, I doubted myself. I knew it was going to be a hard race as it is classified as the North American Eastern Regional Championship. Spartan Race has a Global Championship and certain races are classified as “regional” or “national” championship. Winners gain entry into the Global Championship. When I run these races I am not looking to win. That’s clear I think. 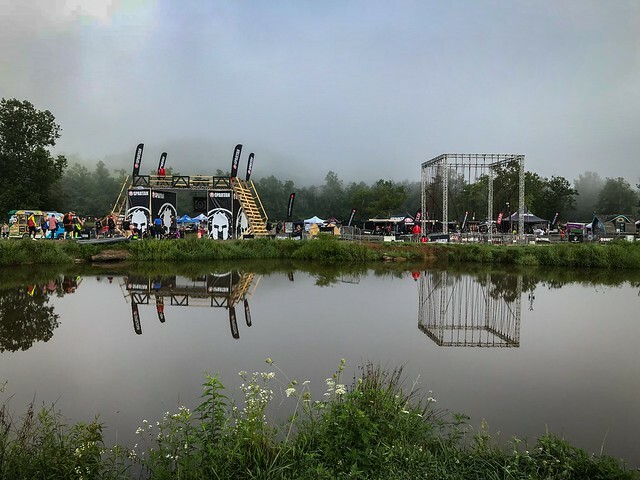 What makes Spartan Races really cool to me is that we are running the exact same courses as the elite races. They cover the same mileage and obstacles (they just can’t have help like us open races) as we do – just much faster. This Beast took me 7.5 hours. Yes, that is a LONG time. I totally lost track of time. I knew, after I finished 3 miles, it had been only 1.25 hours. I had completed the first 3 fairly quickly and was pleased. I thought this meant I was going to finish in about 5 hrs. I was wrong. I was doing good running where I could – downhill and flat areas- there just weren’t that many. Much of this race included elevation: 4490 ft of elevation change over 13.5 miles. Some of that elevation was at a grade of 42%. You can reference this graphic to see how steep some of the elevation was. Fun fact: I bear crawled a bunch of it – way easier. I felt like I accomplished more obstacles than previous races. I’m able to scale most of the walls on my own and did receive just a small amount of help on a few others. I still cannot do the obstacles that require good grip strength – hanging, monkey bars, etc. This is a big frustration of mine and I really want to change this over the next year. But as a result of getting better at the other obstacles means I came away with very few bruises. I think I even avoided poison ivy at this race and that’s a big deal for me. I also have realized I can carry heavy things. The log, bucket, and sandbag carries were all pretty easy for me. I did set the bucket down twice but it was at the end and I was tired. I also had to swim during this race and I found that super fun. The place where the race was held: The Summit Reserve in Bechtel, West Virginia was beautiful. It is a Boy Scout Camp and one of the nicest “camps” I have ever seen. The views at the top of the mountains were wonderful. I loved seeing the peaks – it helped me feel accomplished. At one point, at the highest point, there was a dining room. It had glass windows all the way around and I could only imagine how amazing it would be to eat dinner in there during a beautiful sunset. Overall, the race was about 15 miles (including obstacles). I am amazed at myself for finishing it. I wasn’t fully prepared for it. I hadn’t trained hard enough and felt it. I thought I had based on what people said about last year’s race, but, in good Spartan fashion, they made it harder. 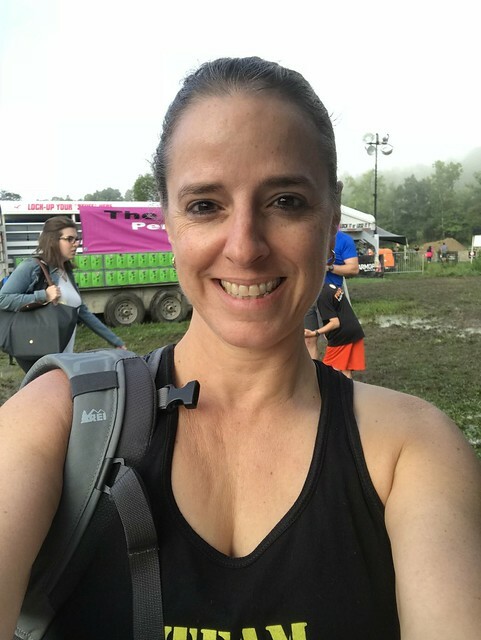 As I hiked, walked, and felt the pain, I told myself, “I never want to do this again.” But now, as I look back… I kind of want to…. I’m ridiculous. If you haven’t ever done a Spartan Race and want a way to push yourself or have a goal I fully recommend trying a race. You can do the Sprint. I promise. Now that my Trifecta is done… I will relax a bit, probably gain a few more pounds, and then start in on my training. I am going to visit a couple of OCR gyms in the area and train on the grip obstacles. And maybe, in 2019, I’ll complete the Sprint and do it all without burpees!! Two years ago, almost this exact day, I ran (haha… funny) the Asheville Super by Spartan. It is the hardest thing I have ever done. The course was insane (ask anyone who ran it) and unforgiving. We climbed 3,000+ feet in elevation and it seemed like we climbed it all at once. I was on the course for 7 hours and was depleted in energy when I finished. So of course I signed up to do it again this year. The best news of the day was that the weather couldn’t have been better. It was beautiful. It wasn’t too hot even after the sun came out. The bag check guy was convinced it was going to rain by 11 am and that did worry me but I never felt a drop. However, the venue was muddy. And by muddy I mean sinking to your ankles in mud. No matter where you walked, mud. I knew I wasn’t going to be able to wear my flip flops out of there this time. Before the race started, I sat and chatted with a woman. We had a lovely time talking and discussing races. As it turns out, she came in first for her age group in the open division. I figured she would pass me and she did. I also met up with a friend from childhood. He was running late so we didn’t get much time to talk but he also crushed the course. Did I crush it? Yes and no. I have been hiking hard hikes for the past two years. What a difference this has made. Just two weeks ago when I hiked up from South River Falls I pushed myself. I wanted to crush that elevation. In the gym, I have been on the treadmill with the incline jacked up and carrying heavy stuff. So this time, as we climbed the mountain, it was hard but I was able to keep going. Plus, we had relief at times. More switchbacks. We’d go down in elevation and then back up. At times, I’d stop, catch my breath, and keep going. Wherever I could, I would run. I really crushed the last half of the race… what about the first half? I met a lovely woman right at the beginning of the race. We were going through water and she asked me to grab her hand. I thought I would be helping her through just this portion. She was very small and I think, scared of the water. I ended up assisting her for the first half of the race. I’m very torn about this because I am very happy to help people. We went through a ton of water and I was happy to help guide her. However, on the trail, it hurt me. I was exerting a ton of energy pulling her up hills and helping her not fall going down. Her shoes were not as good as mine and she kept slipping. I assisted her on walls and other obstacles. She could not offer me any assistance at all. Finally, I decided to go on ahead. I felt bad. I honestly did but I wanted to finish. As I think back to how quickly I did the last portion of the race, I’m quite sure I could have cut my time down by 1-1.5 hours. Regardless… I still finished faster than two years ago and that was my goal. People have praised me for helping the woman for as long as I did. They say I have a good heart and while that is probably true, I always want to feel like I did the course as quickly as I physically could. I don’t know if I’ll ever offer help for half a course again. Sometimes I would look back and others were pulling her up the mountain. It takes a lot out of you to continually pull and lift someone. I hope I don’t come across as callous or rude. I don’t want to because I offer help to people all the time and am happy to do so. Taking all of that out of the equation, the course was fun. I enjoyed it. The water felt great and I loved that I could get up and down the mountain quickly. I was able to run when it was flat. My asthma did great except in one location. And… goodness is that course beautiful. There was a section with big bushes just covered in butterflies. COVERED! It was amazing. Next up for me is the West Virginia Beast. Again, I don’t know why I thought this was a good idea. I feel like changing it…. I think I’ll decide by the end of this week. This cold weather is ridiculous. One thing I have always enjoyed about Virginia is that our winters aren’t too extreme. Yes, we had 4 feet of snow a couple of years ago. And we’ll have 3-4 days where it gets cold. But this past streak of cold weather is crazy. I know it is colder other places and I’m glad I’m not there. Because of this cold weather I really haven’t been out hiking. I have made a couple of trips to a single trail where I take photos and I have been out photographing birds but that’s about it. This post will be dedicated to my goals and wishes. I won’t call them resolutions because I am adverse to that word. I have already signed up for my Sprint (DC) and my Super (Asheville). I just have to solidify my Beast at some point. I wish there were more Beasts near me. It looks most likely that I’ll do West Virginia due to its date (provided my son doesn’t have a tournament that weekend). I am pretty excited to get my Trifecta again. Now, I have to pick up the training. I know what I have to do to train for Asheville – I just have to do it. That includes eating. I’m a lazy eater. I hate going to the grocery store and while I enjoy cooking, I’d just rather not. Overall, the biggest goal for Spartan (aside from the Trifecta) is running my Sprint fast. I’ll be with a big group from my gym but I won’t be helping the newbies this time. I hope they understand. I am slowly making my way through 500 miles at Shenandoah National Park. It is slow going because that’s a lot of miles. But I do want to knock out at least 100 miles this year. That takes a lot of time. However, I will make it part of my Spartan Training. Some of those trails I will run (or partially) and I will, towards the end of spring, push towards more 8-10 mile hikes. Additionally, my son and I want to visit the Sand Cave in Southwestern Virginia and we’ll hike the Grayson Highlands during spring break. The end of 2017 was great for my photography. I can say I actually made some money. Not a lot when you consider the costs involved and the money I’ve put into it, but, I sold quite a bit at a craft fair and have sold prints and calendars to friends. I think that I may be making a very small name for myself and hopefully those sales will increase. That means I need a better website. I do have one but I am considering one that I pay for (like SmugMug). I’m hoping this makes it easier for people to order prints. I may never be able to quit my job because I make enough with my photos but it is a nice goal to have (and I love working towards it). The last 6 years have been very crazy for me personally. I won’t go into the reasons why for that but there has been a lot of heartache. I am hoping to develop some new friends (anyone?) and actually DO things with those friends. That means finding people with the same interests and that’s not always easy. Not everyone wants to hike 10 miles. The fall of 2018 will also mark my daughter’s senior year of high school. When I put the last day of that school year on my calendar the tears started flowing. It was a bit surreal. What goals do you have for 2018? 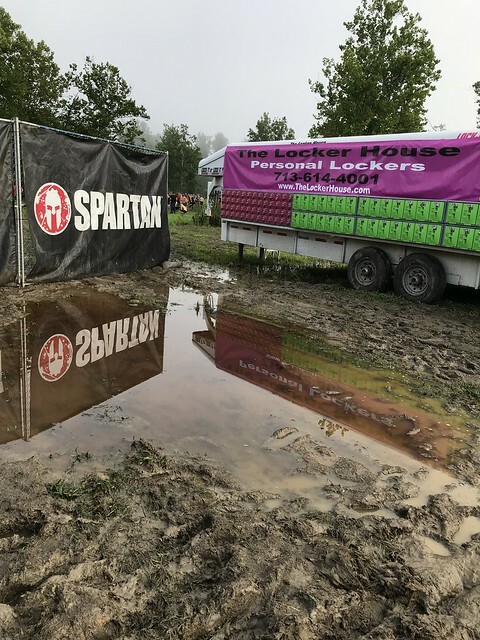 Anyone else running those Spartan races? I completed my Beast last year on my 45th birthday. I made a crucial mistake after that race. I didn’t rest and recovery enough. Because of that it set off 10 months of health issues and injuries. The first few months I dealt with horrible asthma and breathing issues. I finally got checked by an asthma doctor and found out I had really bad allergies to basically everything I’m around daily. She asked me to stop working out because of the stress on my heart from the laborious breathing. Finally, the meds starting working and I was given the okay to workout. 10 days later I fell running a trail and sprained my ankle. As I sat there and cried I felt a lot of frustrations. I wondered just how long it would be before I could workout again. I got myself up, found a stick, and hobbled 1.5 miles back to my car. Six weeks recovery ordered by my physical therapist. Almost six weeks to the day I was out walking and stepped on a wet rock. And there goes my knee. I knew it was bad. It was the worst pain I had experienced in a long time. I, again, had to get back to my car. I was worried I would need surgery but thankfully the MRI showed nothing was torn. So off to physical therapy I went. It was slow-going. I felt like it would never get better. It was a month before I could even turn over in bed without pain. I asked them about my upcoming Spartan Sprint – the only one I had registered for this year – and they were confident they could get me there. 2x a week I went and endured the pain. When I would complain the response was, “You’ll thank me when you’re running!” Finally, they gave me the okay to start running. But even that was slow as I kept having pain. Just two weeks ago, doing a kettle bell swing, my knee hurt tremendously. I stopped, did a different exercise, and more pain. I stopped all workouts. I almost decided to not run the race. But I was determined. I love goals. And just went ahead with it. I would be racing alone. That doesn’t bother me anymore. I didn’t want anyone holding me back or pushing me too hard. Now all of these things are physical issues. But through the past ten months I had personal set backs as well. I won’t go into deep details but I was in a lot of personal pain. Anxiety. Depression. And, at times, wondering if anyone cared at all. I was ready to quietly exit people’s lives knowing they wouldn’t miss me. And then came the realization that someone important in my life had some mental issues that caused them to hurt me repeatedly. I had to cut them out to save myself. Cutting someone out of your life isn’t easy. Especially when they are the one you rely on to encourage you, support you, and you do the same for them. But when they aren’t capable of being that way without causing you pain you have to make the hard decisions. As I look back over the past 10 months, as much physical pain I endured, this was worse. I never shared how close I was to just wanting to die. Yesterday I drove to the race. I wasn’t nervous. I had a plan: to walk the race. I figured I would take it easy. As the race started I jogged. And I felt good. I walked up the hills. I ran down the ones I could. I ran when it was flat. I made it through all the non-grip strength obstacles. And I did modified burpees. And I finished faster than I ever have. When I crossed that line I felt amazing. I knew that I could put the past 10 months behind me and have a fresh, new start. I feel like I can move forward with my fitness and get back to where I was last year. One of the ideas promoted by Spartan Race is that the body is stronger than we think. And that if we can train our minds to get past the immediate pain or uncomfortabless we can do amazing things. I tested that yesterday and it was true. As I trudged up the hill holding the bucket, breathing harder than ever, my mind took over and I didn’t stop. I made it to the dumping of the rocks and it felt like I dumped the past 10 months with it. It can be done. So now I push forward and start a new story!